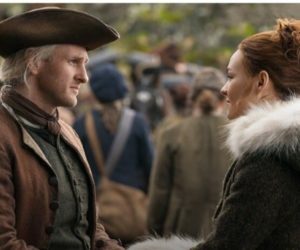 Outlander Heart Score: Who Pulls the Most Heart Strings Season 4? 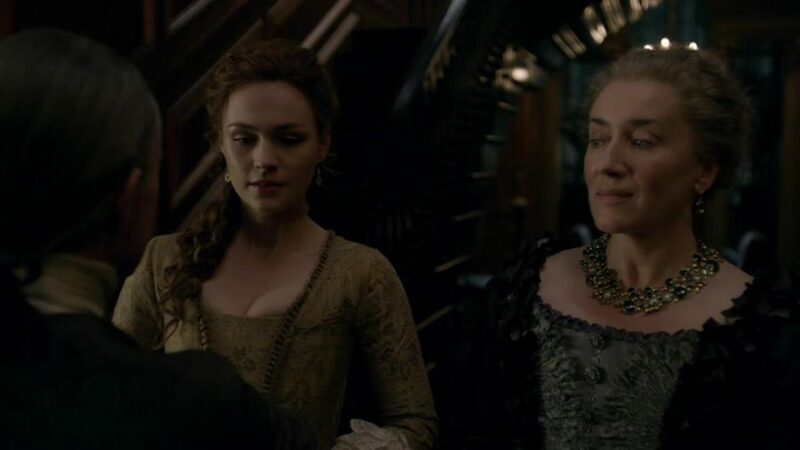 When Karen Rutledge saw the promo hashtag, #thedeepheartscore for Outlander Episode 410, her brain interpreted those last two words as “heart score.” Turns out, Karen’s subconscious was actually keeping a running tally on Outlander affairs of the heart. My subconscious, my perplexing brain — sometimes embarrassing me with gaps, other times saving me from absentmindedly walking in front of moving cars — evidently remains steadfastly focused on Outlander. Most recently, it pulled a Jamie, doing the wrong thing for the right reasons. Well, it wasn’t really that wrong, only worrisome that it went on just below the surface without my conscious knowledge. Evidently my subconscious went down an Outlander score-keeping rabbit hole. 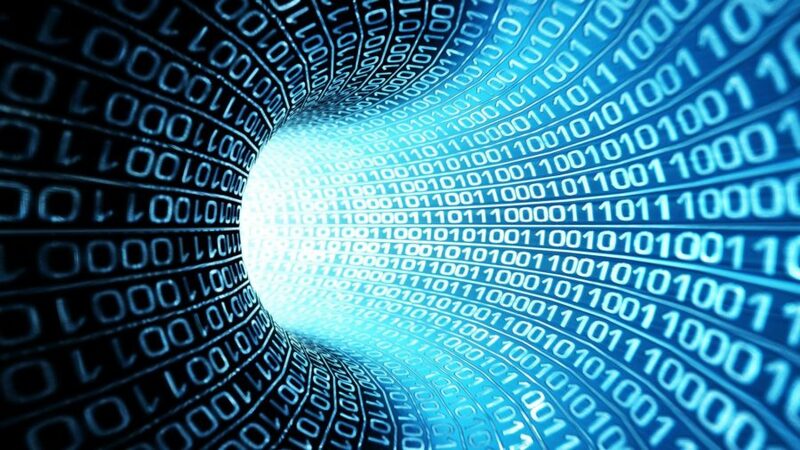 It was like a stealth computer program, running an algorithm in the background, squirreling away data for later use. It was after Outlander Episode 411, “If Not For Hope,” that I became fully aware of what had happened, my head spinning from the data download. All the Outlander Season 4 details, characters, so many heartaches, so much joy, they all worked together to create what I call a Heart Score treasure trove galore! How to sort through it all and find focus? First, stick with Outlander Episode 411 only. Check. Second, read your Obsessenach opinions on social media. Check. Synthesize like a 1960s pop band. Check. What bubbled to the top was a trifecta of Outlander Heart Score areas: Production, Teamwork and Bree’s suitors. Here’s how my scores came out. See if you agree. No matter how you feel about my scoring system, please remember I love everything Outlander. Episode after episode, the Outlander Team serves up stunning, heart-stirring imagery. That said, two #PoorRoger moments bubbled to the top of my Heart Score production ranking are two #PoorRoger moments. 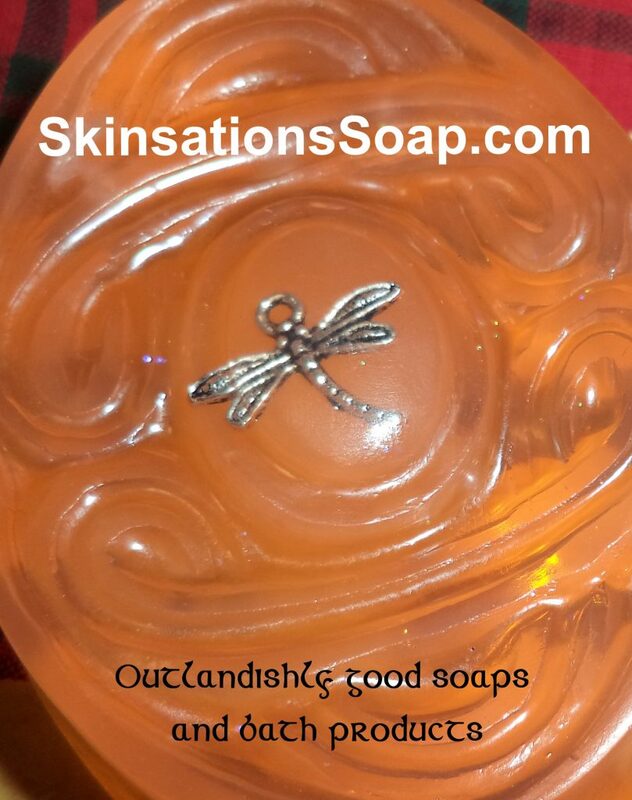 Now, I know many thought the shower sequence cheesy. Not me, I loved it. Maybe that’s because it brought to mind one of my fave TV show ruses, the 1980s Dallas Bobby shower dream sequence. Either way you roll on this one, Roger is still in Bree-time on magnificent Jon Gary Steele sets so hold on to all the hope, Bree. Nice one, Team! 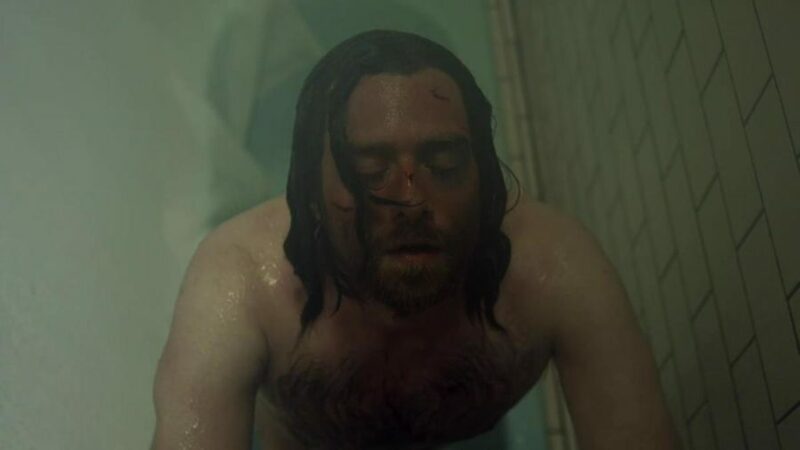 Although Richard Rankin gave us that red herring steamy shower, fogging all of our glasses, #PoorRoger only got a Mohawk sponge bath. Most importantly, however? With Kaheroton’s help, Roger ditched those sea shanty-worthy culottes! Before any of my fellow Terry Dresbach fans go ballistic, yes, I know that she and her costume team have gone to extraordinary lengths to provide historically accurate details and I am most appreciative. And, yes, Roger’s costume was one that nerdy professor Roger would have thought perfect and could construct, though likely with crafty Fiona’s help. It was simply my least favorite costume to date. The new costume that I lovingly refer to as Mohawk loin cloth accented with thigh-high socks is so much easier on the eyes!! Yes, I’m that shallow at times. Please don’t hate me, Terry Dresbach. 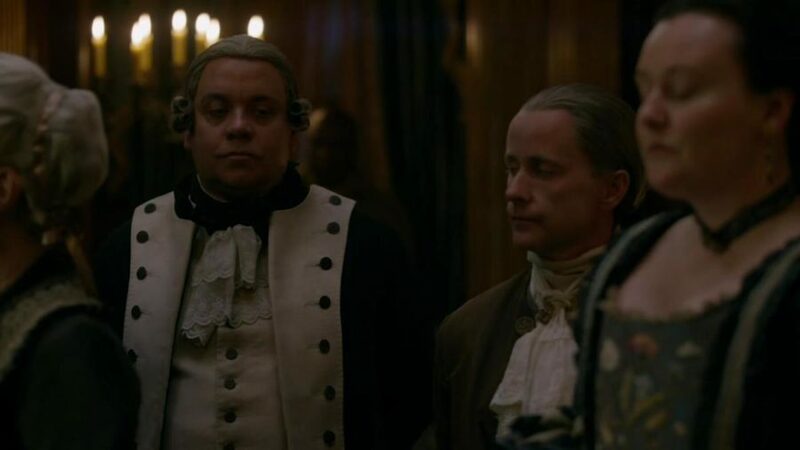 Little did we know that the Kaheroton was pulling an Aunt Jocasta with that switcheroo, preparing Roger for his own debutante entrance to Mohawk society. Roger ran that gauntlet like a champ, leaving us on the edge of our seats. And, speaking of seat edge, that’s where I am with Kaheroton, too. What’s up with his perfect English and his startled reaction to Roger’s “my carriage awaits” line in Episode 410? Now he’s like Cinderella’s dressmakers, conjuring up just the right rigout for Roger’s Mohawk debut. I have a feeling Roger should be thankful that it’s been Kaheroton deciding his fate so far. 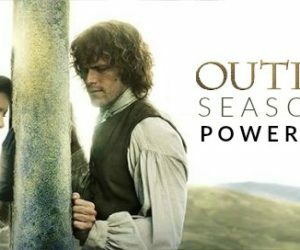 So many characters to follow and stories to unfold as Outlander Season 4 spins to the January 27 Finale. My character Heart Score is all about the teamwork, from the Jamie, Claire and Ian trio to Lord John and Bree. Here are the five affairs of the heart plot lines in my Heart Score teamwork ranking. Even Steven between the Fraser Trio and Mohawks for now, but my money is on the Frasers catching up with the Mohawks and rescuing Roger by season end. Jamie is, well, King of Men, and when he and crafty Claire work together, they’re almost unbeatable. Throw in super scout and wily trader Young Ian and itÆs almost a lock. Yes, Auntie Jocasta, comfort can be had in the company of others and we delighted in your absolutely delicious frank discussions with Bree! We love that you want the best for her, but let’s be a little less excited about hosting that debutante ball and wedding planning, K? Thank goodness Bree puts her common sense to use, not only finding a way around the extravagance of new clothes using the repurpose method (my favorite), but also managing to find a way around her well-meaning but scheming Auntie and stone-wielding Mr. Forbes, delightfully played by once-a-hobbit Billy Boyd. These two finally had a good talk and seem to be in sync. Bree’s working her way through the trauma with her vivid drawings. Lizzie, ignore them and follow her lead. Keep your lips locked on all the juicy details and do something positive — help Bree find a way out of Aunt Jocasta’s well-meaning but disastrous debutante dilemma. Even Steven for them, too, for now. Yes, that score is a little arbitrary but, I love Marsali more each episode, even if she is the daughter of she-who-will-not-be-named. Marsali may not be Jamie’s biological daughter but she obviously learned a thing or two via osmosis along the way. 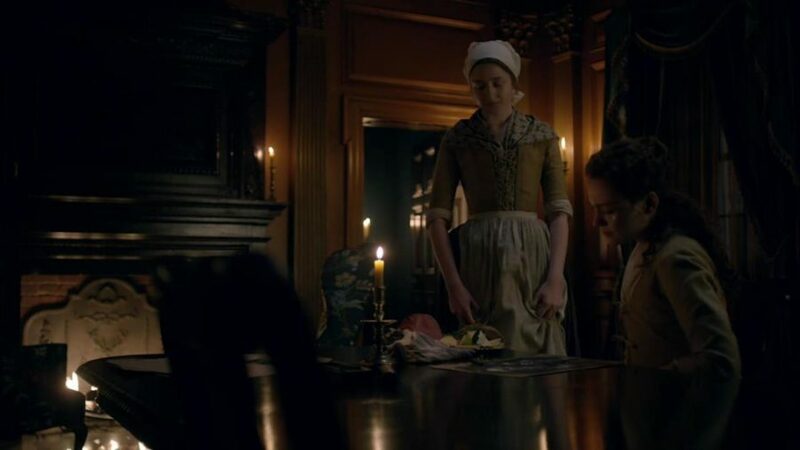 She knows what Fergus needs to get his groove back and it’s not a job as a butcher, baker or candlestick maker. 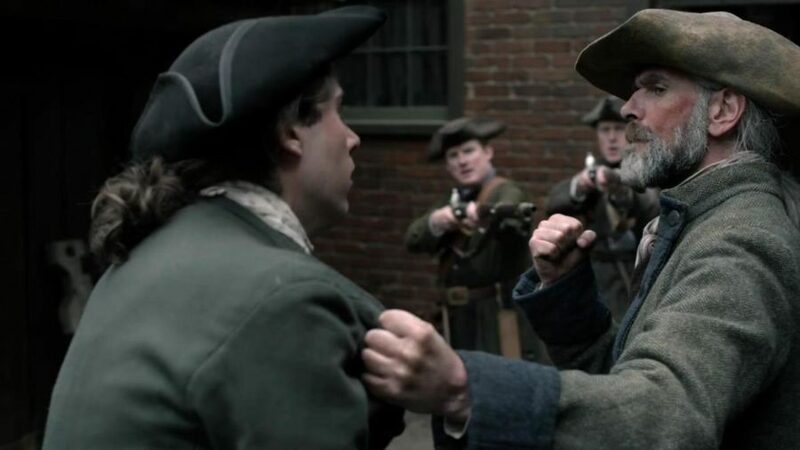 Enlisting Murtagh’s help was brilliant and I would definitely love to see more Marsali-Murtagh collaboration, wouldn’t you? However, I wouldn’t want to meet either of them alone in a dark alley. I’m a little surprised at the low-scoring data my subconscious collected on our main duo. Insightful Ian did a good job intervening in Uncle and Auntie’s sad sitch. Their strained journey followed by the reconciliation scene was brilliantly done but that reconciliation was all too brief. Jamie and Claire, we really need you to get your groove back. We’ll patiently wait til you return to your semi-private Fraser’s Ridge digs but, JHRC, please hurry. BTW, Jamie’s bonus point was for constructing a tent where Claire could easily stand upright. My only explanation for this duo not scoring higher is that even though my muse Murtagh helped end my personal Doubtlander, my heart hasn’t yet gotten the message. Guess it’s still hoping for more than a brief glimpse of Diana Gabaldon’s particular “JHRC, Jamie and Claire” magic. We know you mean well, Auntie Jocasta, but get real. Bree needs to keep hope alive, not toss it to the wind and leap into an obviously doomed-before-it-starts marriage to one of your friends. Roger can’t be “with the savages” for good, he just can’t! He will get back to Bree, I’m counting on it, and I desperately hope it’s this season. On to the suitor Heart Score rankings. Bree was all over that racist garbage before Auntie, with her charm and quick wit, defused the situation. I was a tad disappointed and wished they’d given Bree the chance for a serious smackdown. She got some satisfaction in the end, though, cutting to the heart of the matter in her little psychology game with Judge Secret Keeper. 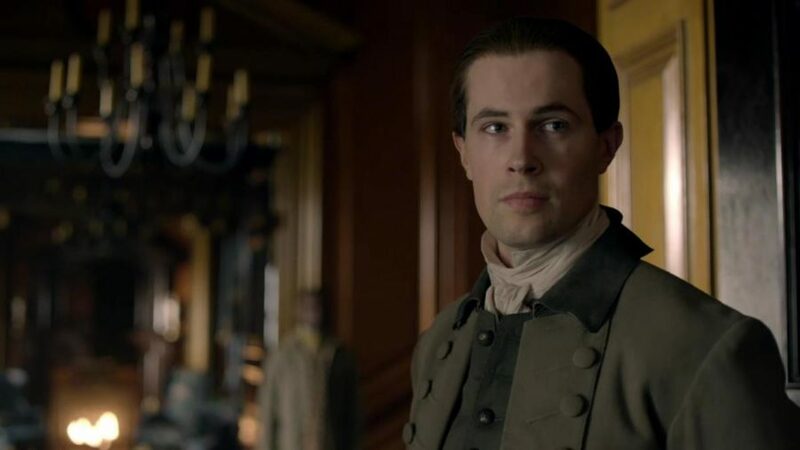 Just when I thought I couldn’t love Lord John Grey more, he made that grand entrance into the dining room and my heart soared. Lord John to the rescue, it has to be! Forbes and Wolff quickly got the lay of the land, didn’t they? Forbes only thought he was getting the upper hand by allying with Auntie. 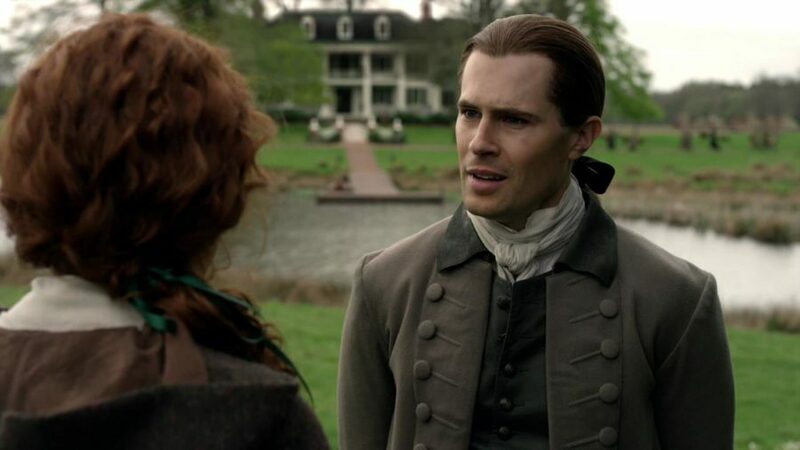 Happily for us, neither Auntie nor Forbes understood Bree’s resolve. Both her desperation and determination were palpable as she tried to “persuade” Lord John to accept her proposal, to buy her time for the Fraser Trio to work their Roger rescue magic. And Lord John, bless his huge heart, couldn’t let Jamie’s daughter down. 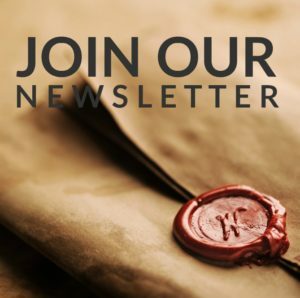 Could our screen Jamie have envisioned it all as he wrote to Lord John? I for one would never underestimate the King of Men. “Yes. Well. Leave it as said that I harbor feelings of particular affection for Jamie Fraser, and have for some years.” He shook his head, sighing. “And here you come offering me your innocent body, with its echoes of his flesh—and add to that the promise of giving me a child who would mingle my blood with his—and all this, because your honor will not let you wed a man you love, or love a man you wed.” He broke off and sank his head in his hands. He glanced up at her, startled. “She thinks what?” “Maybe she wouldn’t go quite that far,” she amended, still frowning. “She says you’re a good man, though. I think she likes you, but she doesn’t want to. Of course, I understand that now; I suppose she must know—how you … er … feel about …” She coughed, hiding her blushes in a fold of her cloak. Who’s My Heart Score Heart Stealer? The final tally? You know it already, right? No surprise that Lord John takes my Heart Score prize. I’ve loved him since I learned he also loved Jamie. I love his outlook on life, too. As he says, “Hope is the very heart of love.” Lord John, keep on doing you! Well, Auntie Jocasta, I know you can live on hope as I’ve actually been doing that all season long. While keeping that running score card in the back of my mind, I’ve reserved my top Outlander Cast 5-Kilt rating, waiting for a home run that would solidly knock the Season 4 Outlander Shinty ball outta the park, something like seeing Jamie at least holding a kilt. 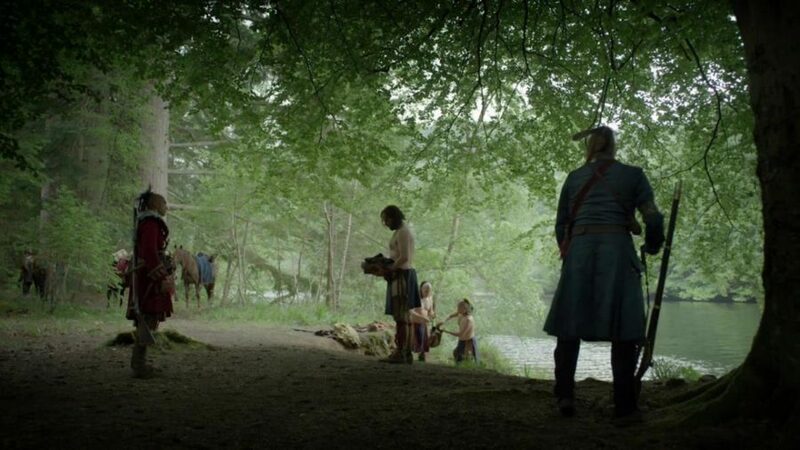 Although I’m keeping an open mind, I have a sneaking suspicion that it may turn out to be Murtagh’s return in Outlander Episode 405, “Savages,” that will take the number one slot. 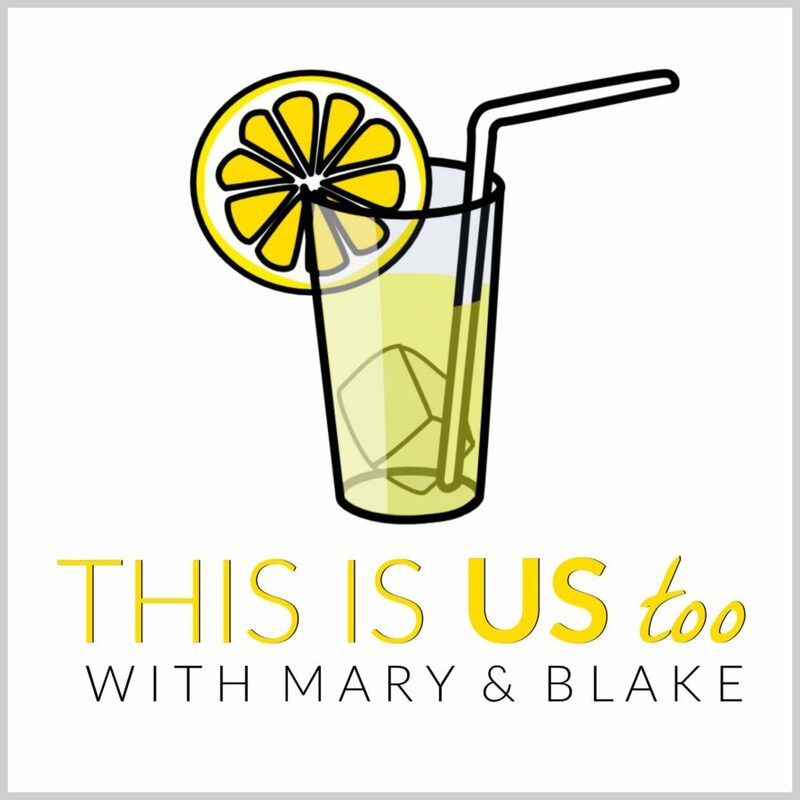 Think either of the last two episodes will beat Outlander Episode 405? By the way, who else is thrilled with the Murtagh adaptation? The feeling of having him reappear was like changing horses mid-stream — a high level of difficulty but exhilarating, and it restored my own waning hope in Outlander. Can’t wait to see how his presence changes the rest of the story — one adaptation from Diana Gabaldon’s compelling story that I firmly support — and how the Outlander screen story will play out this season. 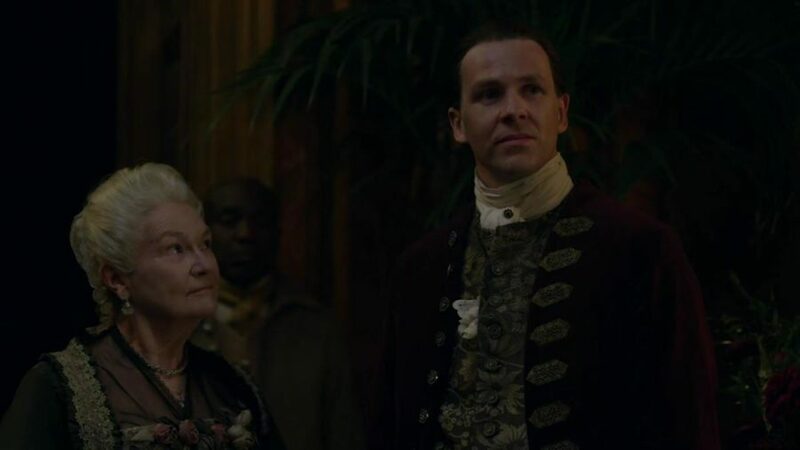 So, like Bree, I will continue to live on hope until I see the last moment of Outlander Episode 413, “Man of Worth.” I’ll be watching in Newport, Rhode Island, with everyone attending the Outlander Cast Season 4 Finale Party at the Old Colony House. 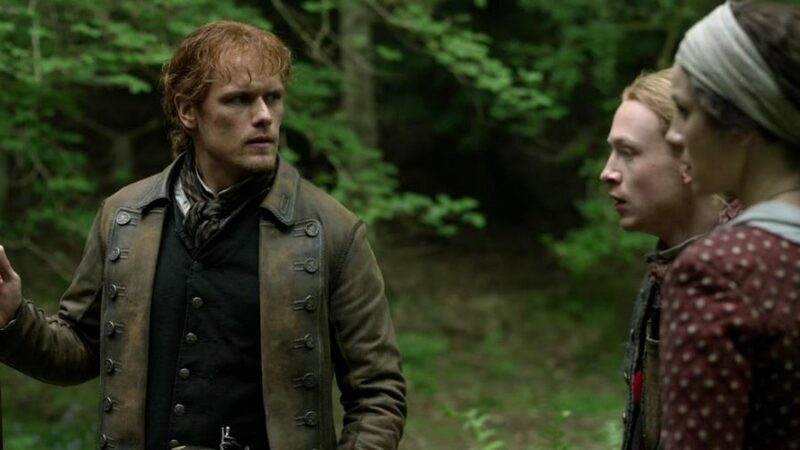 I rest assured knowing any sting of disappointment that might possibly prick (like not seeing Jamie’s kilt) will be soothed by the presence of so many Obsessenachs. Are you coming to Rhode Island? Does your brain do crazy things like mine?